In the early 2000s Vanessa Carlton was considered one of the most promising young female songwriters along with Michelle Branch, Alanis Morissette and Nelly Furtado. Born in Milford, Pennsylvania Vanessa Carlton graduated from the American School Of Ballet, but pursued her interest in music instead. She demoed, and was signed to A&M Records in 2001, and started work on her debut album for the next two years. 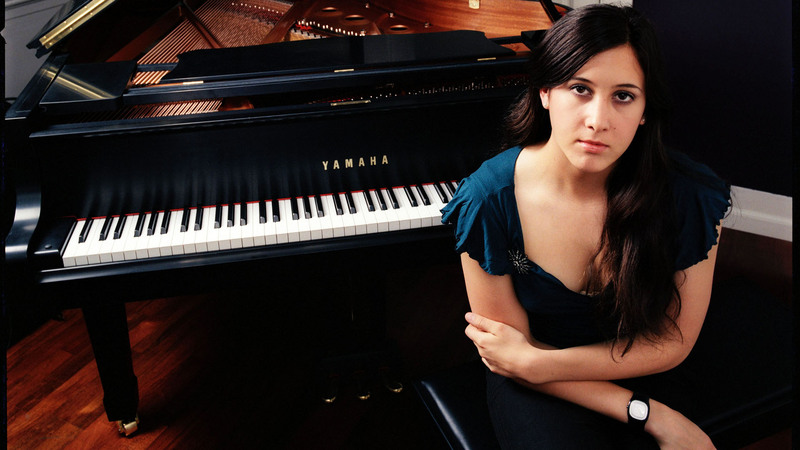 Vanessa Carlton then wrote and recorded a demo album called “Rinse” with Jimmy Iovine which remained unreleased, but attracted the attention of label president Ron Fair. Fair mentored the young Carlton and helped produce/write and arrange what would become her debut album “Be Not Nobody”. Vanessa Carlton wrote and produced a demo recording somewhere in 2000 with producer Peter Zizzo. The two had made their acquaintance at a local singer-songwriting circle. Sources vary on the contents of the demo but they seem to agree that it was released on an actual old fashioned cassette tape. The recordings that Carlton cut with Zizzo at Big Baby Recording Studios in New York went untitled and later became known simply as the "Vanessa Carlton" demo. Under Zizzo's tutelage Vanessa was able to improve her blooming songwriting skills. Her self-titled demo, while crude, led to a multi-album/development contract with Interscope/Geffen/A&M chairman Jimmy Iovine, who set to produce her debut "Rinse". Information on "Rinse" is scarce, but it seems only logical that it would be recorded at The Record Plant in San Francisco given Iovine's long history, first as an engineer and later as a producer, with the facility. The Iovine produced "Rinse" would be shelved, but was strong enough to attract attention higher up the label's food chain, specifically that of A&M label president Ron Fair, who took the young Vanessa Carlton under his wing and started to re-arrange the "Rinse" material. Carlton’s debut record is a collection of new songs written in collaboration with producer Ron Fair and reworkings of a handful of the most promising songs from her independently financed, but never widely released, “Rinse” demo session. 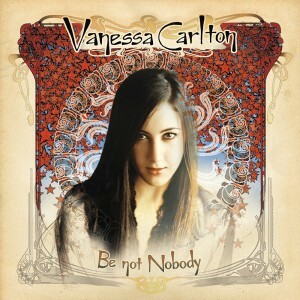 “Be Not Nobody” is a soulful pop album in the true meaning of the word. Heavy on orchestrations, percussion and big vocal hooks it is poppy, uplifting and soulful in equal measure. Lushly produced and full of instantly recognizable arrangements “Be Not Nobody” is Carlton’s most enduring and popular record even though the sound is hardly her own. It was a farcy from her Tori Amos inspired demo work. Opening track 'Ordinary Day' is a reworking of an earlier demo track. Backed by a string section and some light percussion the song deals with unexpectedness and magic of reprocicated love. The song is about the unexpected and intoxicating effect of infatuation and young love. ‘Unsung’ is uptempo, exciting and talks about that “us versus them” mentality that is legion among adolescents, while the main narrative of the song is about unrequited love. ‘A Thousand Miles’” is mostly about longing for and the reassuring embrace of a loved one. ‘Pretty Baby’ is the big love song of the record, and is the most soul-oriented cut of the record. The string section for ‘Pretty Baby’ was re-arranged for newer versions of the album, such as the UK tour edition. ‘Rinse’, the title track of her unreleased demo, partly foreshadows the direction Carlton would embark on. On this record that direction is only hinted at as steady percussion, a string section and some electric guitar enliven the track. The Rolling Stones cover ‘Paint It Black’ is somewhat of a puzzling choice, but it is performed true to form. Why exactly it was included is somewhat of an enigma as it sounds nothing like Carlton’s original material. ‘Wanted’ is the most stripped down track of the record, with Vanessa accompanying herself with only her piano. Like ‘Rinse’ before it hints on the minimalist and introspective direction that Carlton would embark on later in her career. ‘Twilight’ concludes the album on an introspective note being the opposite of upbeat opener ‘Ordinary Day’. Five songs of the unreleased “Rinse” demo were reworked and re-recorded for the “Be Not Nobody” session. ‘Ordinary Day’ was originally called ‘Divide and Conquered’ and later ‘Ordinary Days’ on both demos. Discerning fans will notice that the lyrics have omitted the “divide and conquer” line that made the song controversial in its earlier form. The hit single ‘A Thousand Miles’, the song that won Carlton no less than three Grammy nominations, was a reworking of her demo song ‘Interlude’. The demo version of the song had a different arrangement, a far more subdued vocal line and uneffective overall structure. Ron Fair re-arranged the song for the album changing the vocal line, adding a string section and generally giving the song a better flow that built towards a climax. Carlton rewrote the lyrics to fit the improved song structure. It turns out that Ron Fair’s influence on Carlton’s material was beneficial for the most part. The only song to be truly revamped was the solemn ‘Pretty Baby’ that was a lovely little ballad in its demo form, but was turned into a lush R&B ballad by Fair. Of her original songs only ‘Sway’, ‘Paradise’ and ‘Twilight’ retained the most semblance to their original incarnations. “Be Not Nobody” was recorded and assembled at some of the best studios that its major label could afford. Tracking was done at IGA Studios, Henson Recording Studios and Royaltone Studios while Eddy Schreyer mastered the album at Oasis Mastering. Drew Fitzgerald was responsible for the cover photography and art direction. Carlton’s debut was released in April 2002 and debuted at number five on the Billboard 200 albums chart with 102,000 units sold. It went on to sell more than two million copies worldwide. Vanessa Carlton’s future as a young singer-songwriter looked bright even after the initial setback with her demo album. The question now was whether she could cement that initial promise with her sophomore record. Much like her singer-songwriter contemporary Michelle Branch, Vanessa Carlton would refuse to do concessions to her music and image even if it meant losing major label support in the process.